I started Speedsurfing with a mix of Freemove- and Slalomstuff and orientated my quiver more and more to Slalom- and Speedsurfing. 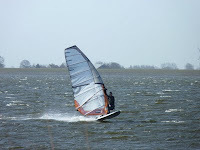 For a lot people who like to go fast and thinking about starting Speedsurfing it is a tough question if it makes sense to buy pure Slalommaterial or to start with something like Freeraceboards and -sails. Especially during the last few years some brands introduced Freeracematerial which should be nearly as fast as pure Slalomstuff, but easier to handle. I have checked the GP3S database and tried to analyze the potential of this Freeracestuff. Okay you get much more information about Slalomboards and -sails, but in my opinion there was enough information to get a trend. The first part of the article contains my results and in the second one I will tell something about possible reasons. Let's start with the easier chapter, the sails. Are Freeracesails only the little brothers of full Racesails? Okay, no Freeracesail reached 50knots until now, but most notably the Neilpryde RS:Slalom, Northsails Ram and Severne Overdrive scored a lot of sessions with 40knots+ averages. 40knots+ average is a really fast session for nearly everyone and the best sessions with these sails are around 42,5knots which mean you are close to the top 50 in the GP3S Overallranking. 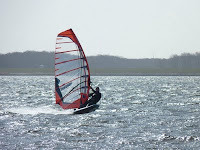 In my opinion there are definitely competitive Freeracesails on the market! To analyze the potential of the Freeraceboards is much more difficult, because you have to consider that more sessions were done with Slalomboards and furthermore the trend is not as clear at it is with the Freeracesails. Obviously you have to compare the Freeraceboards with the Slalomboards and not with the smaller Speedboards on which most of the highspeeds were done. I have heard the rumor that the Starboard Futura is maybe faster than the iSonic. Well, the GP3S database doesn't really confirm this all up, but average speeds around 36,5knots done on a Futura 93 demonstrate the potential of this board. The best speeds on iSonics with the same width are around 38,5knots and on JP Slaloms or Fanatic Falcons even faster speeds were set, up to 40knots. It is hard to evaluate this speeds because, as I said, more sessions were done on Slalomboards, but in my opinion 2knots or more are a bit too much to say the Futura has the same potential as the iSonic or another pure Slalomboard, on the other hand 36,5knots is really fast and with a bit more comfort the Futura is definitely an option. Beside the Starboard Futura the JP SuperSport/Cross 96 had also great results with speeds around 36,5knots average. Also don't forget, that top speedsurfers use Speed and Slalom boards, not Freerace boards. What would happen if the dutch top 10 would start using/trimming Freerace boards for 1 full year? Yes, you're right, I had this aspect in my mind while I was writing the article. Some of the fastest sessions on the Freeracesails were done by Martin van Meurs and Jacques van der Hout who are top Speedsurfers. If you look at the Freeraceboards Erik Loots is one of the guys who sailed very fast with the Futura 93 and his "opponents" on the iSonics are fast guys like Peter van Dijk and Tim Hemer. I think all three guys are in the same range, so, in my opinion, the evaluation makes sense. A very intersting question is what would happen if good Speedsurfers start to trim Freeraceboards up to perfection. I will try to write something about this question in the second part of the article. I race others on slalom kit with my kode112l, they are on either falcon 105 or isonic 115/111. In the marginal conditions we use these boards in I often get within 1knot of their speeds, and they have a lot more experience than I do. I think in less than perfect conditions some of the freeride kit will do well against slalom. It is just when going off the wind I can see a difference, my board spins out a lot easier no matter what fin I use yet the falcon doesnt (I have used them both on the same day, same conditions to compare). The bottom shapes of the freeride/freerace are focussed towards early planing which does sacrifice the top 5% of speed (a guess at the %) due to the extra drag created by the v/concave etc. 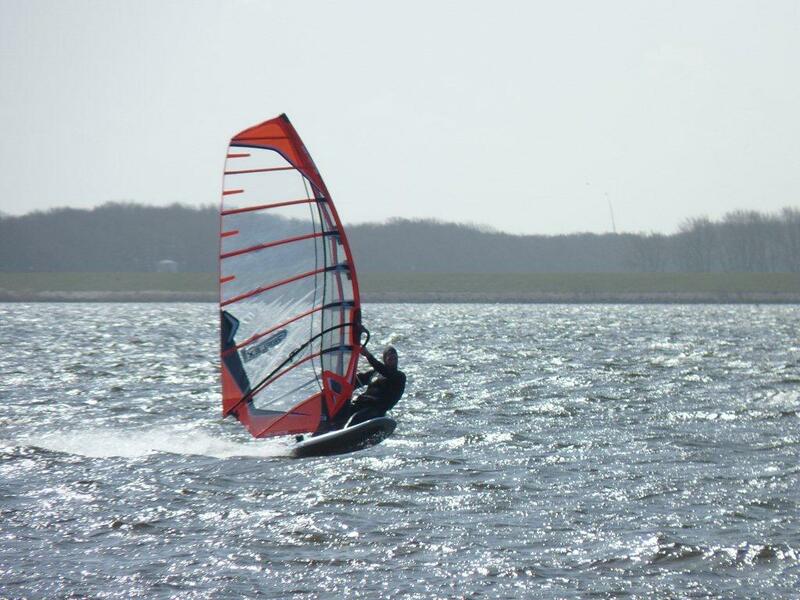 It is my ambition to get my kode (a big freestyle wave board) over 30knots in less than 20knots of wind....once I do that I will upgrade it to a slalom board. I have had 29.97, 29.96 and 29.94.....very frustrating. Arguably the KA Koncept is a freerace sail with some pretty good runs on the board, and there was something over the last few years about the North Team choosing Rams over Warps for speed not to mention RSSlalom vs RSRacing comparisons in past. Boards- flat water freerace boards can be very fast, on dead flat water even waveboards have clocked 40+ but in the chop once they get knocked around & slow when the board sinks in. However in the chop for many years there have been instances of freerace boards being faster than the pure slalom board (Starboard S-Type jumps to mind), I guess here the disadvantages of slightly easier use and being able to push harder outweighs the advantage of uncompromising rocker, rails & strap position. The other advantage here is freerace still retain a good match to fast slalom fins where you can keep the board flying/driving easier. It's been proven heaps here that intermediate/newcomer to speed has stepped back to a freerace combo and gone faster, but the opposite also occurs. Maybe it's down to rider "natural" ability / self analysis or style there. Forgot to add that sail wise the freerace can be as good if not better on a broad course- sometimes they are not so on/off with power, have better feel & a bit more forgiving so you dont oversheet etc. Tighten the angle of the course in good wind & personally I'd prefer to be on the full race sail anytime. Good one Patrick! I like the idea of a freeracer, maybe the windsurfing brands someday decide all freeracers will be more suitable for GPS use. This will open doors to an interesting development area. In my opinion it has no use trying to get the slalomboards better for speed, obviously a slalom board has to perform best in PWA slalom. And slalom isn't my expertise ;). Interesting would be if there is little gain in speed with GPS-freeracers, I only experienced with the futura it was as fast for speed BUT in a wider range of conditions with much less trimming. This fact should result in higher speed when the conditions are not very consistent. This year i also own a RS Slalom MKIV 5,5 and 6,2. I want to take these sails more frequently to proove the speedpotential of these products. My only and also fastest session with a RS Slalom MKIV 5,5 (42,25 knots 5x 10 sec) was on 10 march 2011 at Zonnemaire and i was almost as fast as Hans on an EvoIII. So i'm sure when we will take an RS Slalom MKIV sail to record spots like the Brace or Da Curve it will be a few knots faster. The problem is that we are always battling for the top positions of the day rankings and by knowing that the RS EvoIII is minimal 1% faster than the RS MKIV we will just take the prooven fastest equipment. But i can say the difference is really small. I think Spotty had the Futura 122 up to 40 knots at Sandy point a couple of years ago.. I read it at the seabreeze.com.au forum.. Spotty is soo fast, still the fastest gps rider on the world. I bet you're right with the futura 122, I remember he also used a more freemove design from starboard +-120 liter and also did over 40kn!